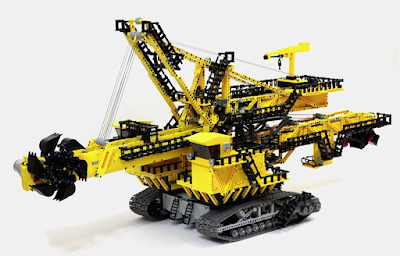 This is a continuous excavator, which digs and discharge material simultaneously. 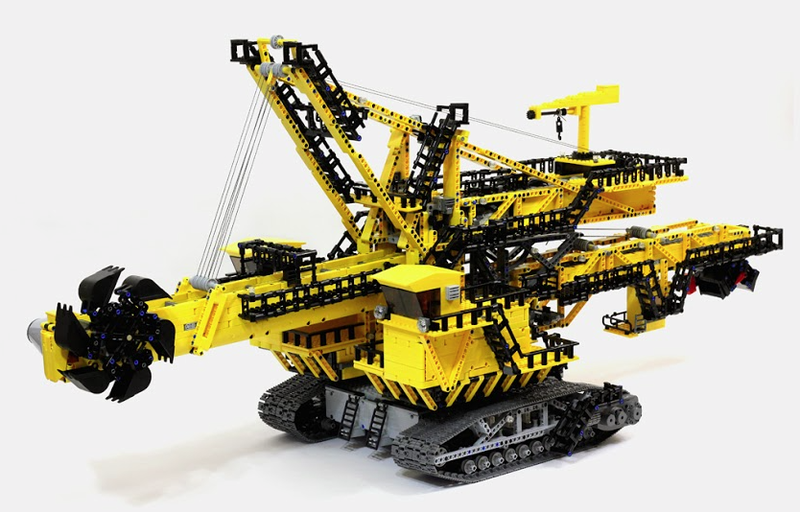 What sets BWEs apart from other large-scale mining equipment, such as bucket chain excavators, is their use of a large wheel consisting of a continuous pattern of buckets used to scoop material as the wheel turns. 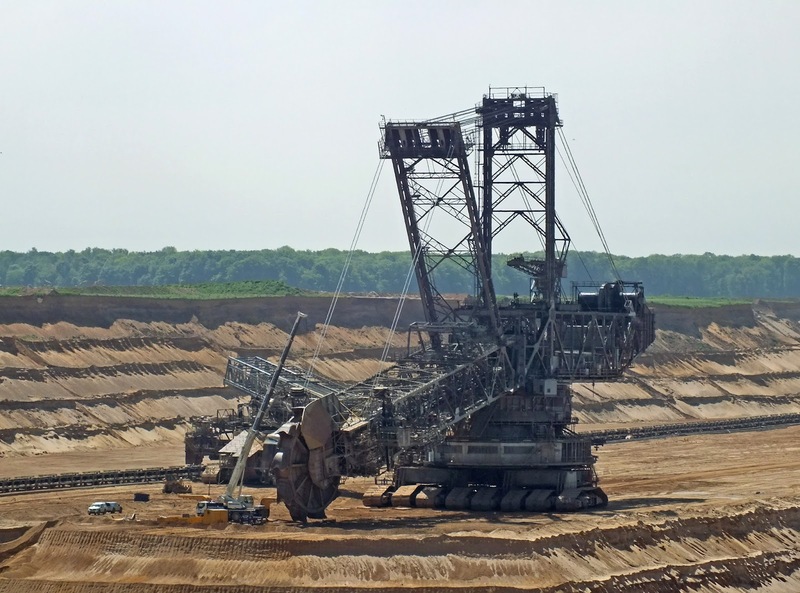 They are among the largest vehicles ever constructed, and the biggest bucket-wheel excavator every built, Bagger 293, is the largest terrestrial Vehicle in human history by weight according to he Guinness Book of World Records. This type of excavator is widely used in other countries, particularly in Germany. In India they are used in the Neyveli Lignite Corporation, Tamilnadu. Currently a feasibility study is being carried out to study whether this kind of excavator can be used in Rajasthan and Gujarat. The machine consist of a series of buckets attached to the periphery of a wheel. This wheel, on rotation, digs and cuts the material and simultaneously discharges it on to a conveyor known as boom conveyor. This wheel is mounted at the top of the boom. The boom is held in position either by hydraulic jacks from the bottom of the boom or by a rope arrangement attached from a suitable position. The boom end is placed on the turntable. 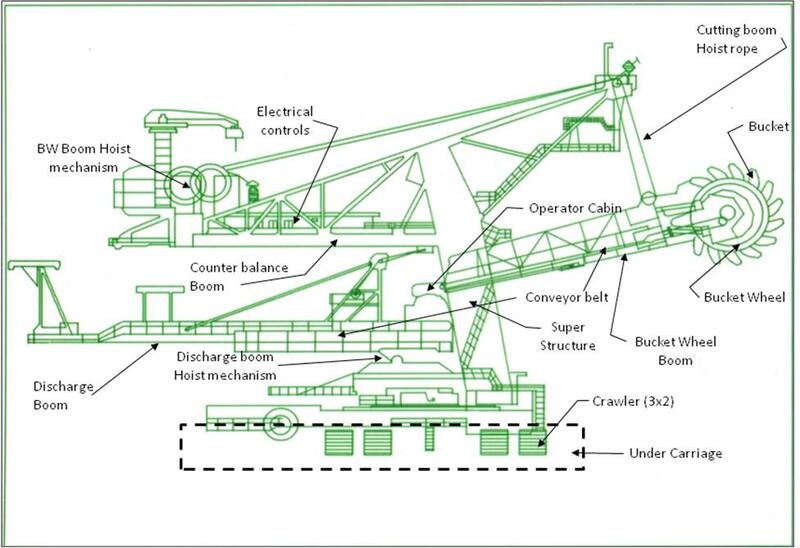 equipment consist of a transfer boom which discharges the material to the conveyor or to the dumping pit. It has another boom known as a counter-weight boom where counter-weights are placed to balance the equipment during operation. Bucket wheel excavators and bucket chain excavators take jobs that were previoulsy accomplished by rope shove;s and draglines. 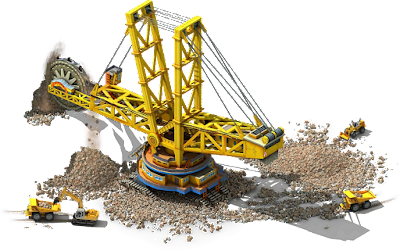 They have been replaced in most applications by hydraulic excavators, but still remain in use for very large-scale operations, where they can be used for the transfer of loose materials or the excavation of soft to semi-hard overburden. 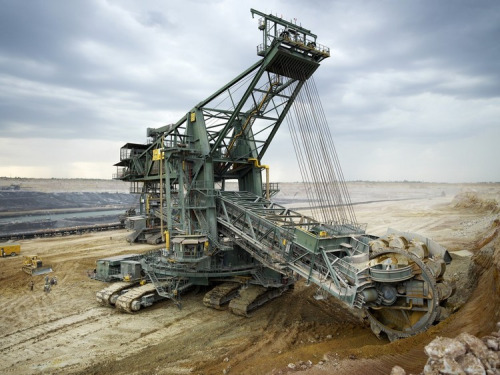 Lignite mining - The primary application of BWEs is in lignite (brown coal) mining, where they are used for soft rock overburden removal in the absence of blasting. They are useful in this capacity for their ability to continuously deliver large volumes of materials to processors, which is especially important given the continuous demand for lignite. Material Handling - Bucket wheel technology is used extensively in bulk materials handling. 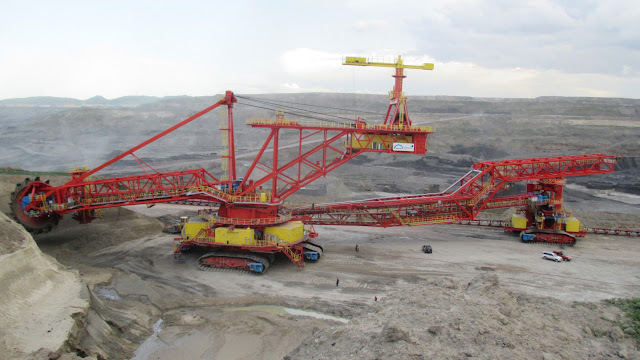 Bucket wheel reclaimers are used to pick up material that has been positioned by a stacker for transport to a processing plant. Stacker/reclaimers, which combine tasks to reduce the number of required machines, also use bucket wheels to carry out their tasks. Heap leaching - An extension of their other uses, BWEs are used in heap leaching processes. Heap leaching entails constructing stacks of crushed ore, through which a solvent is passed to extract valuable materials. The construction and removal of the heaps are an obvious application of stacking and reclaiming technology.